We are almost there! We are hanging the show at the CCAC on Tuesday, Feb 19th, and the reception is going to be on Thursday Feb 21th from 6 to 8pm, hope to see you there! THE SCHOOL OF FISH has been swimming during the last months. 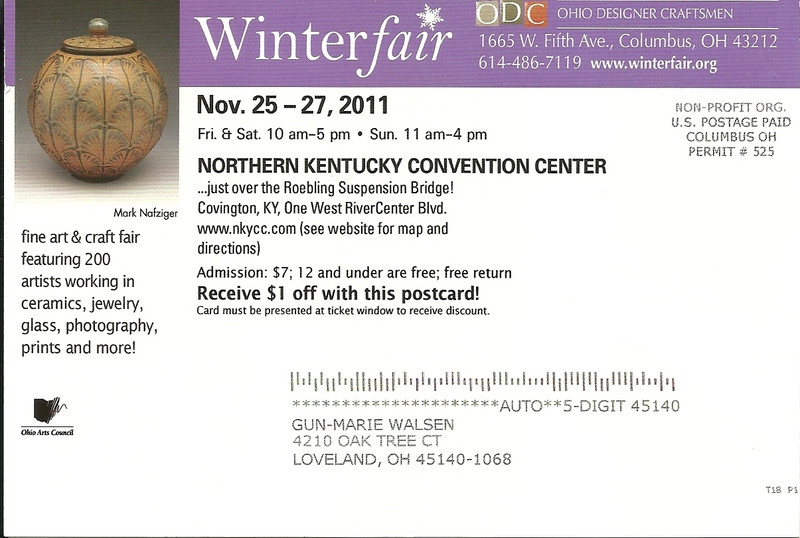 After been in the Gallagher Center at Xavier University, it went to the Loveland Art Studios on Main in Loveland OH. 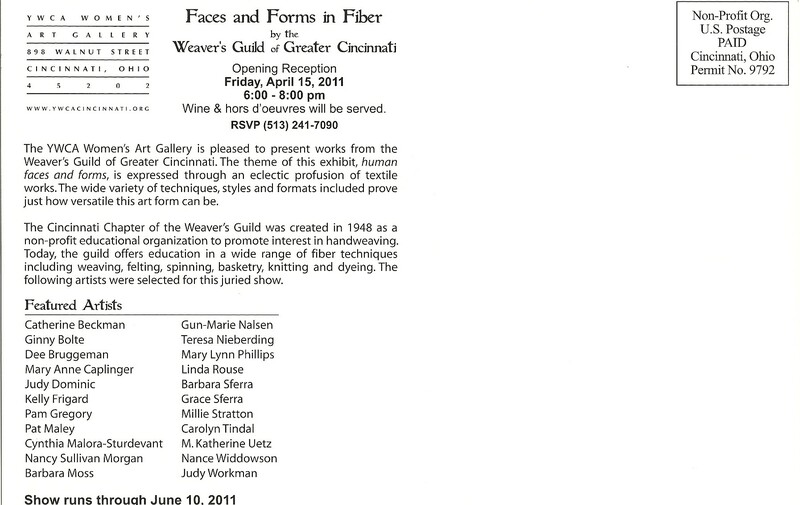 In November it moved to the Weavers Guild of Greater Cincinnati. 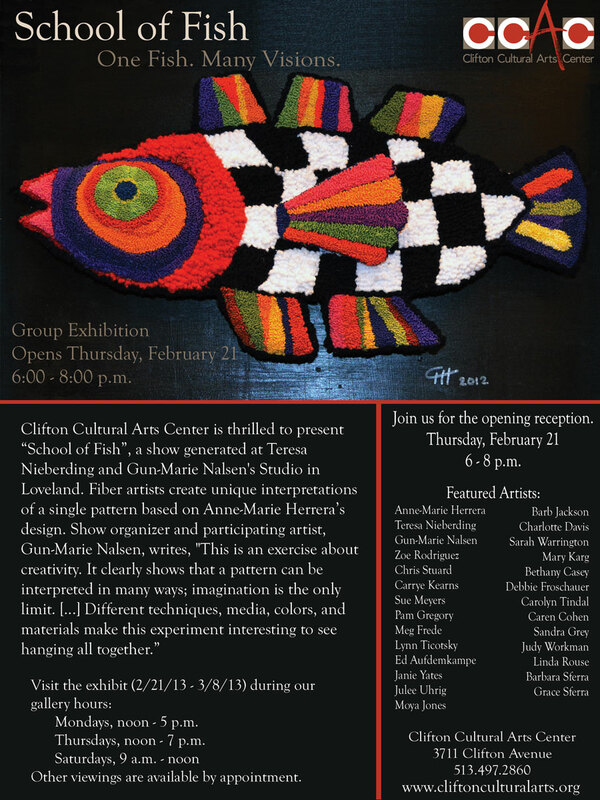 Next place is de CCAC,Clifton Cultural Art Center, on January 21st . The wonderful thing about this, is that each time new fishes are swimming along! 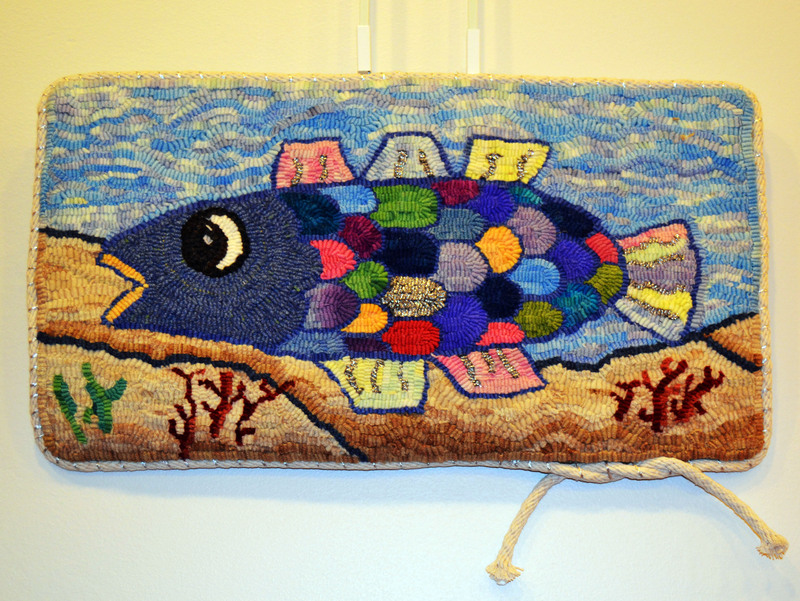 For this show we hope to have over 30 fishes, as well as a big mobile! 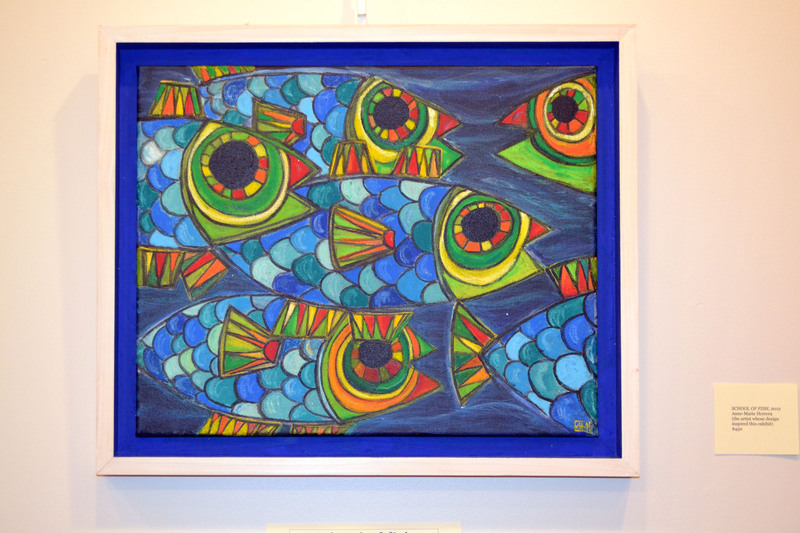 As you can see all the fishes are different, but the same pattern, the same size, that is the rule, different techniques. That is the beauty of the challenge! COME AND SEE US AT THE GALLAGHER CENTER IN XAVIER UNIVERSITY AND YOU ARE ALL INVITED TO OUR RECEPTION ON SUNDAY JUNE 3, FROM 3 TO 5 PM. Loveland Arts Council en Xavier University. 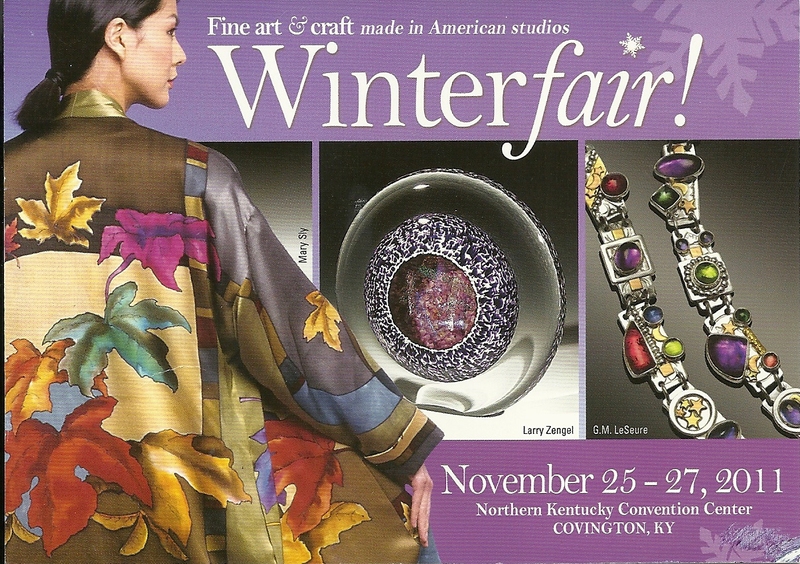 THANKSGIVING WEEKEND IS WINTERFAIR, WE WILL BE THERE WITH OUR FIBER ART, COME AND SEE US AT THE UPPER LEVEL OF THE COVINGTON CONVENTION CENTER ON THANKSGIVING WEEKEND WELCOME! 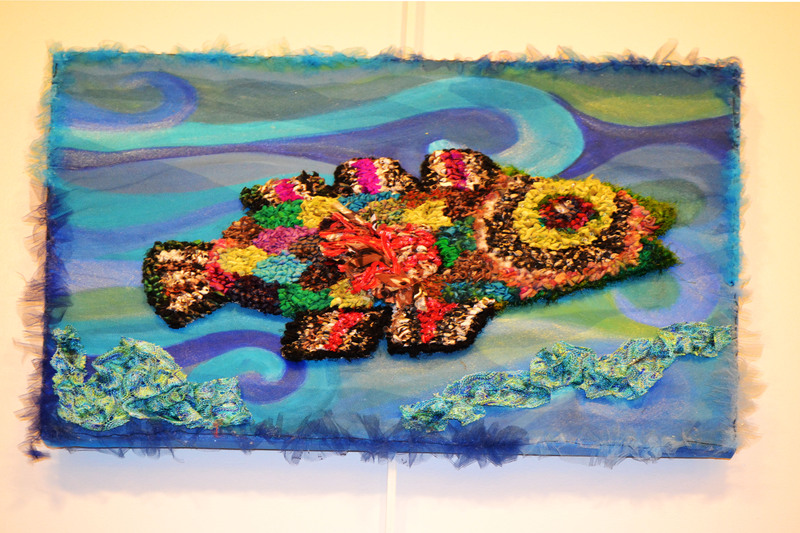 We are getting ready for a new show “HOT, HOT, HOT!” that will be at the Sharonville Fine Arts Center starting July 2. The location is 11165 Reading Road, Sharonville, Oh. 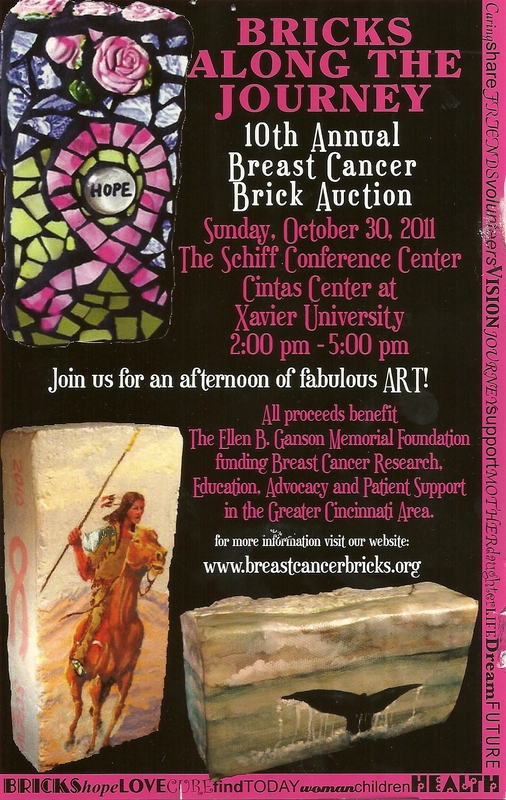 For more information email Amy Bryce at amybryce@gmail.com or go to www.sharonvillefinearts.com Where there is a map for directions. 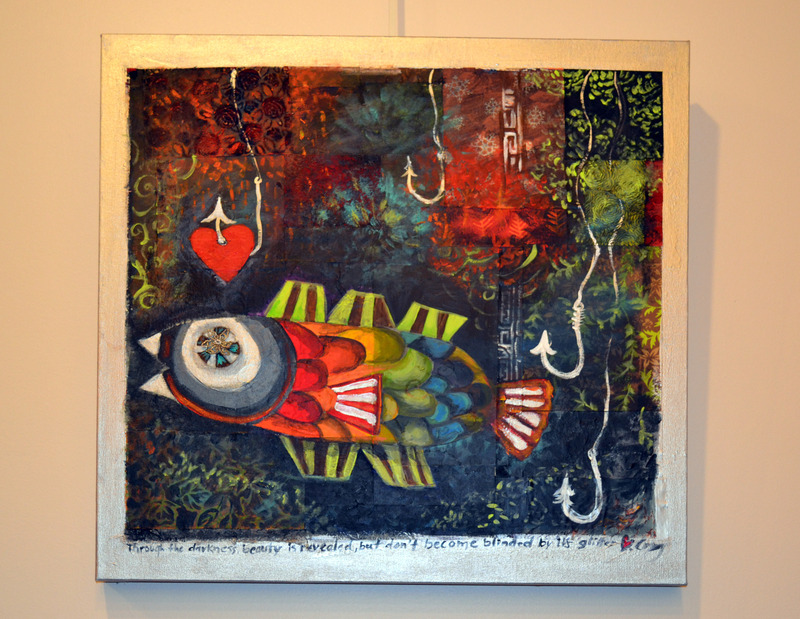 There will be an opening reception on Saturday, July 2nd from 2 to 5. We hope you stop by! The Center is open three days a week. Please call for more info. 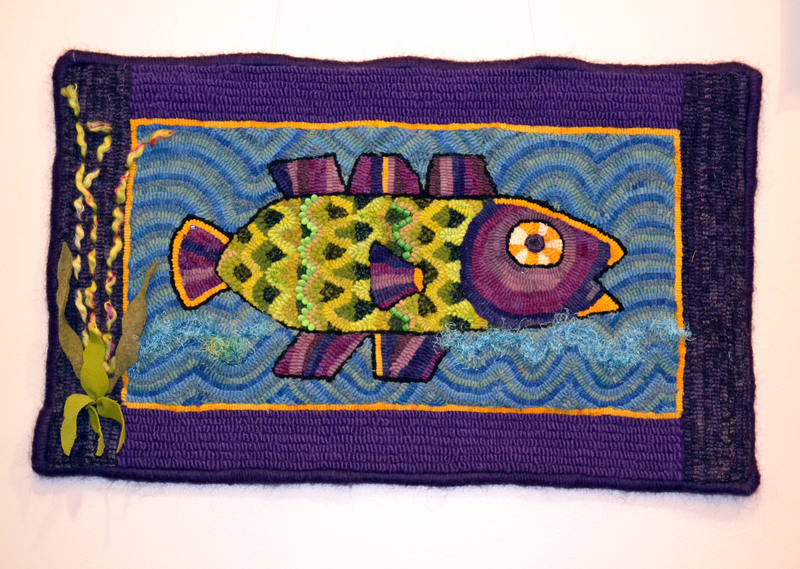 The GreenPiece show at the Weavers Guild is fun! 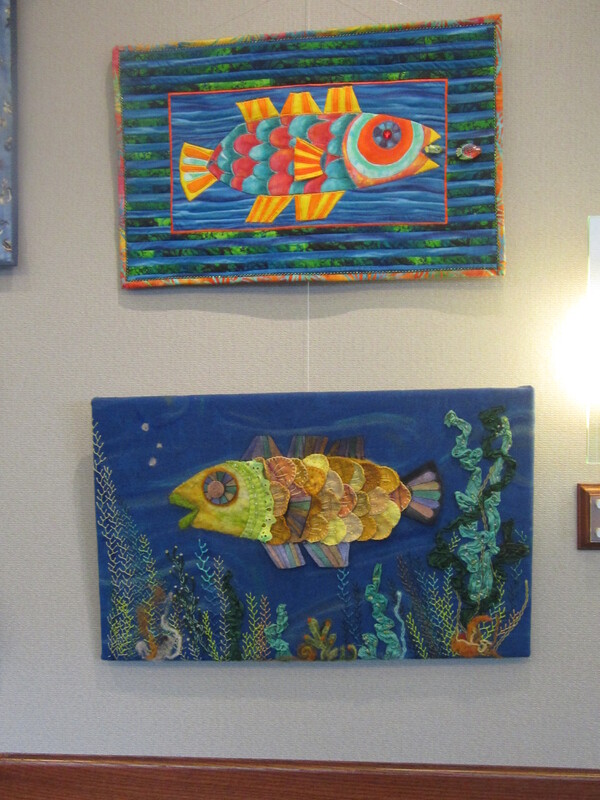 Many different pieces are on display. The creators used recycled and green materials. You can visit it on Tuesdays and Thursdays from 10 to 2. 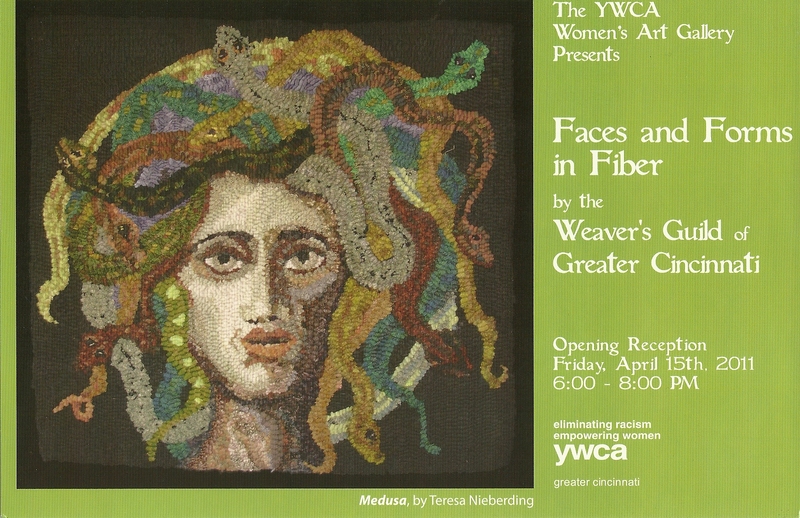 The YWCA Faces and Forms in Fiber Show will be open through June 10, 2011. 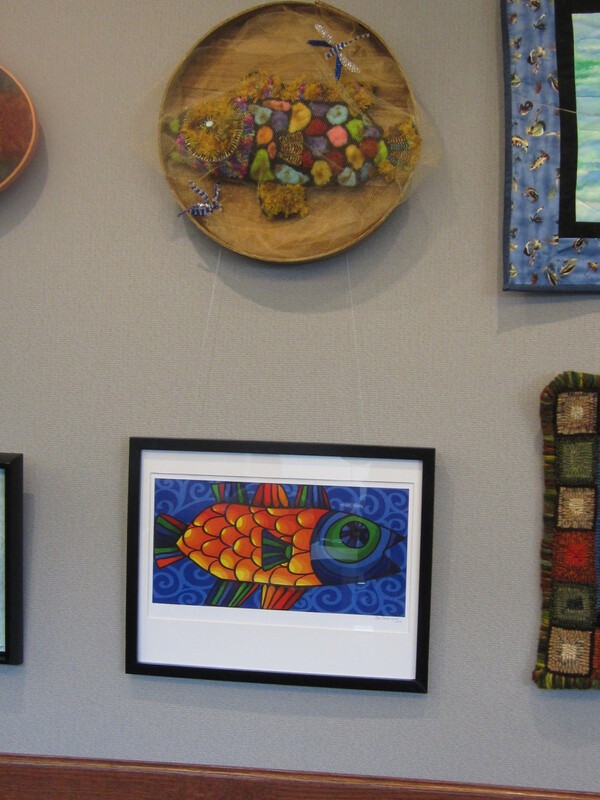 The YWCA Women’s Art Gallery is located on the second floor of the YWCA, 898 Walnut Street (on the corner of 9th and Walnut), downtown. 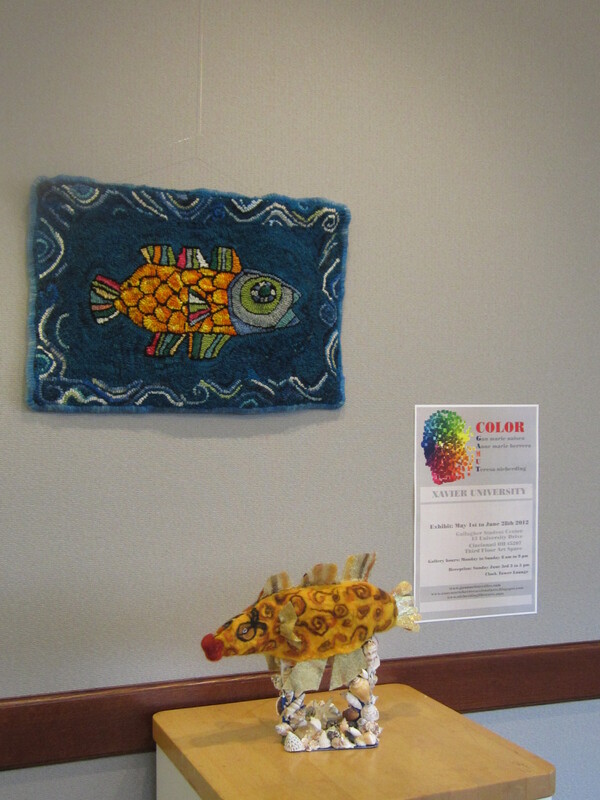 Gallery hours are Monday through Friday, 9:00 a.m. – 5:00 p.m., or by special arrangement – please call 241-7090 for more information. Second Saturday at the Loveland Studios on Main will be June 11th from 6 to 10 pm. Get directions and more informaton at www.studiosonmain.com. 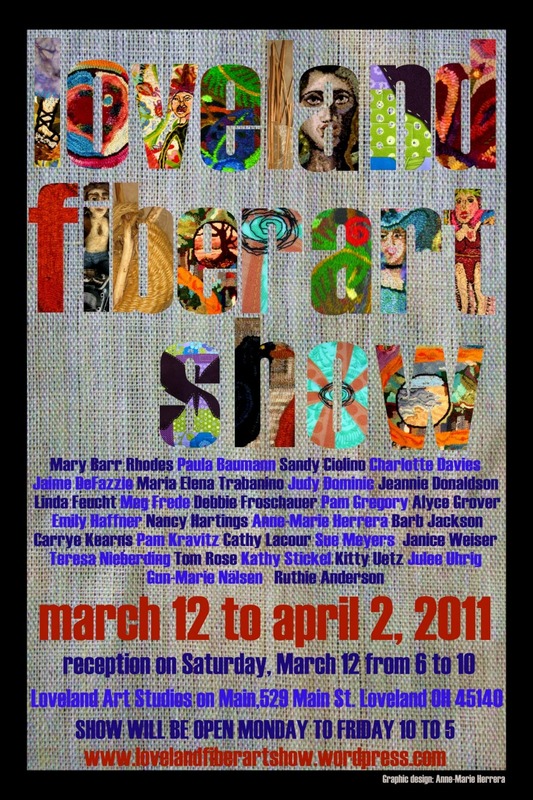 You are invited to see the creations of many fiber artists in our show, from March 12 to April 2, 2011. Come to the Opening on Saturday, March 12, from 6 to 10 pm. It will be open monday through friday 10 to 5pm. Hope to see you all there! HOla Gun marie, no se si te acordaras de mi, soy la Hija de Herminia Riera del IVIC….el mundo es un pañuelo, tu hija es la curadora de las casas azules, antigua casa de mi Padre. Hector Leon, asi que supongo por logica, que mi hermanastra es amiga de tu hija..pequeño este mundo no? Hola Gun Marie, que bueno encontrarte en este sitio, Lyana fuè quien me envio el link. Como pasa el tiempo y parece que fuè ayer cuando trabajabamos juntas. Qe hay de nuevo ademàs de tu arte? Ya supe que las niñas ya no son tan niñas y que no vives en Venezuela. 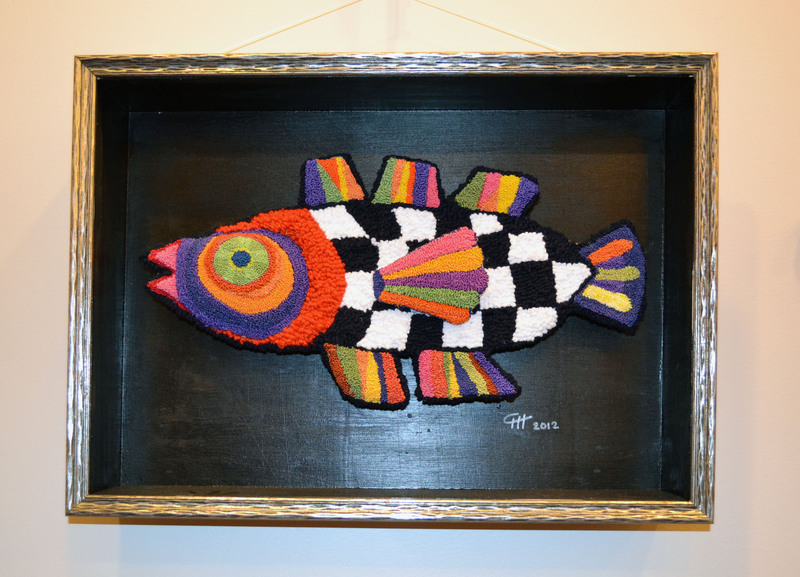 Will you be at the Fly Fishing Show in Loveland the weekend of Feb. 1st, 2014? I don’t know anything about that Fly Fishing Show, tell me! very bothersome to tell the reality then again I will surely come back again. I am sorry about the spelling, but English is not my native language!